The settlement, first announced in January, called for VW to pay US $4.3 billion in penalties and called on the automaker to continue to fully cooperate with federal and state investigators. The settlement also would subject VW to an independent monitor for at least three years as well as a number of other consolations to ensure that it will comply with the law in the future. 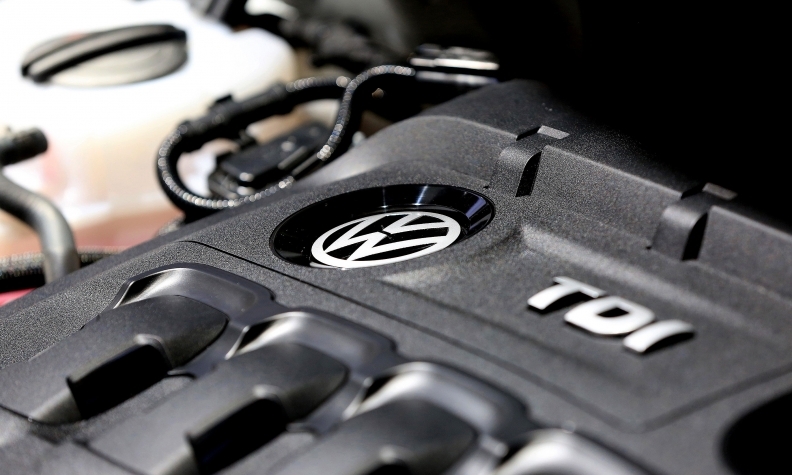 Volkswagen Group pleaded guilty Friday in U.S. District Court here to three felonies under a plea agreement: conspiracy, obstruction of justice and introducing imported merchandise into the United States by means of false statements. However, the Dec. 19, 2016 agreement with the Competition Bureau does not resolve the bureau’s ongoing inquiry with respect to vehicles equipped with certain 3.0-litre diesel engines. That investigation remains open, the bureau said Friday. Two class-action suits in Canada are also unresolved. They are before the courts again in March. The guilty pleas in the United States, accepted by District Judge Sean Cox, settle claims by the U.S. Environmental Protection Agency and U.S. Customs and Border Protection for VW’s importation of almost 590,000 turbodiesel vehicles that violated clean air regulations. However, the judge said at the end of an 70-minute hearing that he wanted more time to consider the settlement’s US $4.3 billion in fines and other actions given the “serious nature” of the crimes. Friday was the first time the company has pleaded guilty to criminal conduct in any court in the world, a company spokesman told Reuters. The settlement, first announced in January, calls for VW to pay US $4.3 billion in penalties and for the automaker to continue to fully cooperate with federal and state investigators. The settlement also would subject VW to an independent monitor for at least three years as well as a number of other consolations to ensure that it will comply with the law in the future. Cox scheduled a hearing on sentencing for April 21 at 9:30 a.m. If VW hadn’t settled, it would have faced potential fines in the cases of between US $17 billion and US $34 billion. In a statement, the company said: "Volkswagen deeply regrets the behaviour that gave rise to the diesel crisis. The agreements that we have reached with the U.S. government reflect our determination to address misconduct that went against all of the values Volkswagen holds so dear. "Volkswagen today is not the same company it was 18 months ago -- the change process under way is the biggest in our history. We have taken significant steps to strengthen accountability, increase transparency and transform our corporate culture." In court Friday, VW General Counsel Manfred Doess initially stood mute before District Magistrate Judge Anthony Patti as the company was arraigned prior to entering its plea. However, in a hearing about a half hour later before Cox, Doess entered guilty pleas on behalf of VW to all three felony counts. Doess has been VW general counsel since Jan. 1, 2016. Cox questioned Doess for several minutes, verifying his age, his position and his education, and whether the corporation had availed itself of outside counsel. Cox then spent several minutes going through the charges against the automaker: how it had conspired to defraud the government, how it had obstructed justice by concealing defeat devices from regulators and destroying evidence, and how it had imported the illegally polluting turbodiesels to the United States beginning in 2009. After fully explaining the charges, the law and the plea agreement between VW and the U.S. Justice Department to Doess, Cox accepted VW’s guilty pleas at 10:36 a.m., 50 minutes after the hearing began. Asked by Cox to explain what the company had done, Doess was clear: “VW is pleading guilty to the information because it is guilty to all three counts,” Doess said. He went on to describe what VW had done and where and how it had flouted the law. After the plea was entered, attorneys for the government and VW talked about the company’s efforts to “make things right,” and how it has cooperated with the probe, including providing information that it has discovered during an ongoing internal investigation “in real time” to government investigators. The automaker’s use of “defeat device” software to skirt emissions tests was first discovered in 2014 by researchers at West Virginia University who tested turbodiesels from VW, Audi and BMW. The researches discovered that the VW and Audi turbodiesels emitted many more times the levels of NOx as were allowed when on the road, but complied when they were being tested in the laboratory. However, it wasn’t until September 2015 that VW finally admitted to using the software to cheat U.S. emissions tests. The ensuing scandal ignited a global firestorm, resulting in almost US $24 billion in costs just in North America. VW’s legal peril with the U.S. government may be over, but its buybacks continue, as does civil ligation in the United States and criminal investigations elsewhere around the globe, including in its German homeland. More than 11 million vehicles are affected globally. About 105,000 affected vehicles are in Canada. As of Feb. 18, the most recent report available, VW had completed 137,985 closings and paid out US $2.89 billion to owners and current lessees. VW is processing about 15,000 closings per week and is expected to continue the pace “for the foreseeable future,” according to the latest report filed by the independent claims supervisor. As part of the plea agreement, VW must “fully cooperate” with ongoing investigations. So far, the U.S. Justice Department says, the automaker is doing so. In the plea agreement released in January, the government says VW has already “gather[ed] substantial amounts of evidence and perform[ed] forensic data collections in multiple jurisdictions” and interviewed hundreds of witnesses in the U.S. and overseas, sharing that information with investigators. The government also credited VW for recovering numerous documents that were deleted by employees after VW’s emissions cheating was discovered in 2014. It also credited VW for improving its whistleblower system in the wake of the scandal and for making other changes to its corporate structure to better guard against a similar scandal in the future. The automaker will hold its annual press conference next week in its home in Wolfsburg, Germany, where top executives are expected to comment more fully on the ongoing scandal. Meanwhile, in Canada, a proposed deal reached in two class-action lawsuits would compensate about 105,000 Canadian VW owners affected by the scandal. It's expected to be approved in two court hearings in March. Under the terms of that deal, affected owners will be able to sell their vehicles back to the company, trade them in for new vehicles or get them repaired. They will get between CDN $5,100 and CDN $8,000 in compensation, depending on the make and model of their vehicle. According to the law firm Sutts, Strosberg LLP in Windsor, Ont., those settlement approval hearings will be held on March 22 in Montreal and on March 31 in Toronto, where a judge will decide whether the settlement is fair and reasonable and in the best interest of the vehicle owners.